If you ask yourself what Post Traumatic Stress Disorder has to do with art, what might your answer be? T: Another Day: Camouflage Chaos - Bed (Photograph), Shasha Dothan. Image courtesy Gallery 667. B: Panelists for At the Intersection of Art & Science: A Window into PTSD at Blue Roof Studios. Photo courtesy Erica Wall. Last Sunday, I attended a panel discussion at Blue Roof Studios in Downtown LA with two artists – one an Israeli veteran, Shasha Dothan, the other, an American vet, Gerald Sheffield. Other members of the panel were Keith Jeffreys, Director of the US Veterans’ Artists Alliance, and Dr. Walter Dunn, Clinical Professor of Psychiatry at UCLA. L: Another Day-Camouflage Chaos, Shasha Dothan. R: Another Day 4 (Video Still / Photograph), Shasha Dothan. Images courtesy Gallery 667. 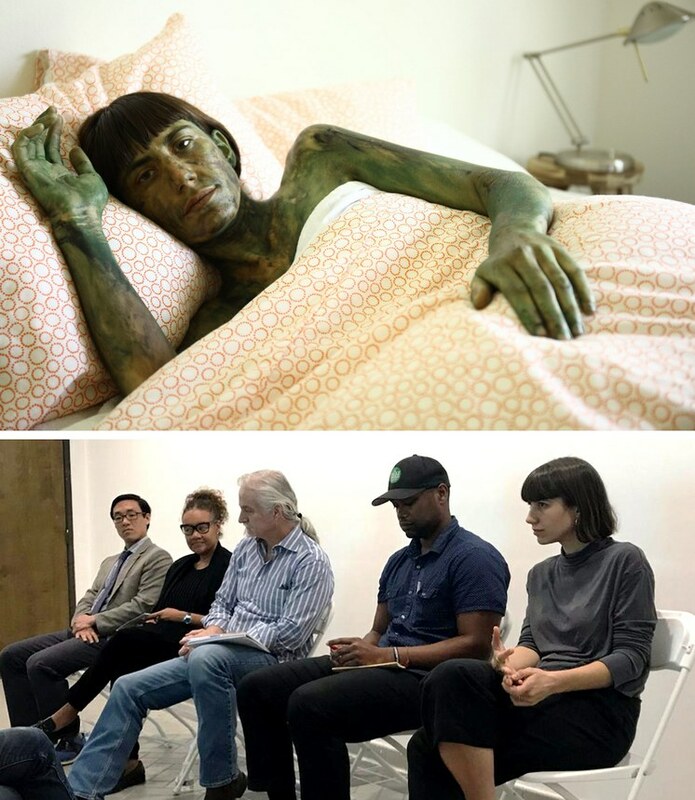 The panel was moderated by Erica Wall, whose gallery in Santa Ana is currently exhibiting PTSD: People’s Trauma Showings Daily. 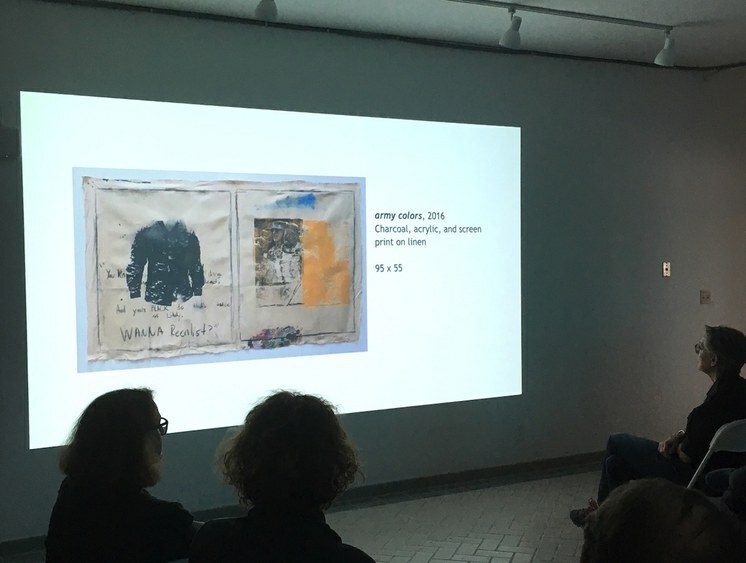 It was a fascinating conversation about pain and psychological trauma, which, somehow, for these two artists, turned into an ongoing artistic journey. Artwork by Gerald Sheffield projected onto the wall at Blue Roof Studios. Image by Galia Linn. This conversation made me think about how often pain and suffering is inseparable from artistic creation. Think about whether we would have masterpieces by Van Gogh, or novels by Hemingway, if they didn’t go through all the drama and despair of their lives. The German-language poet Rainer Maria Rilke (1875-1926), who tried to cure his nerves by attending a few sessions of psychoanalysis, came to the conclusion that it might damage his poetry. He famously wrote in his diary that he was afraid that if he continued with treatment, his demons would go, and his angels would follow. And, more about Pope Francis and his progressive views. 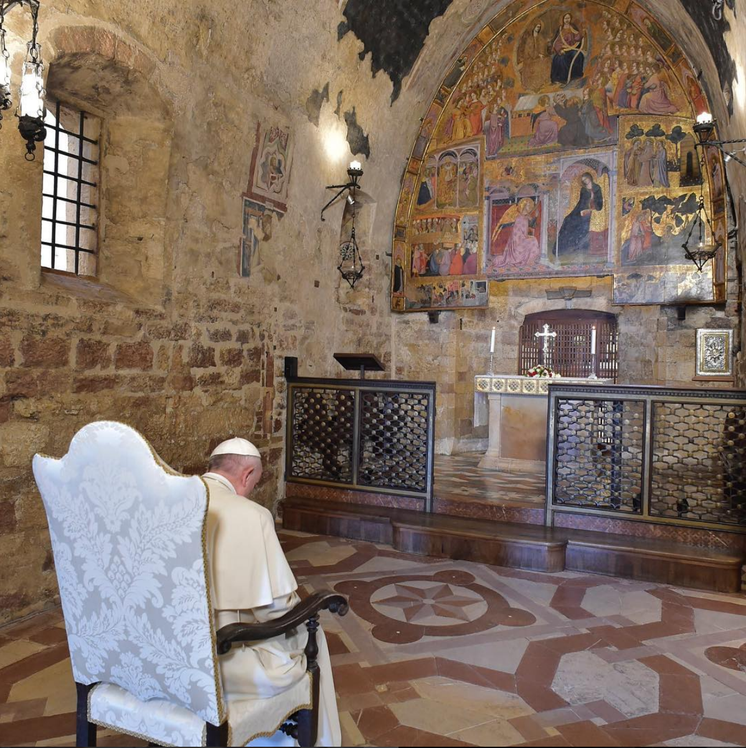 In 2016, he apologized for the church’s treatment of gays, who he says the church should embrace. He also hopes that the church will work closely with contemporary artists to utilize the power of art. Yes, Pope Francis wants to use art as an instrument of peace. 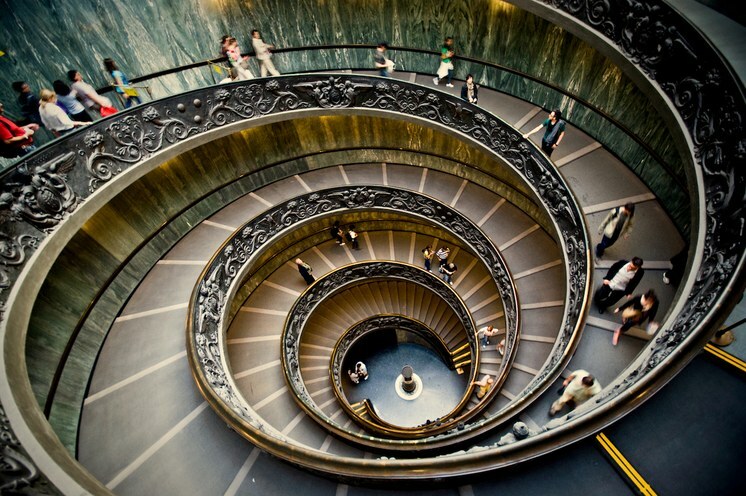 In the upcoming months, the Vatican Museums are planning to exchange exhibitions with China, to bring contemporary Chinese art to the Vatican in return for sending Chinese artworks from the Vatican collections to the Forbidden City in Beijing. 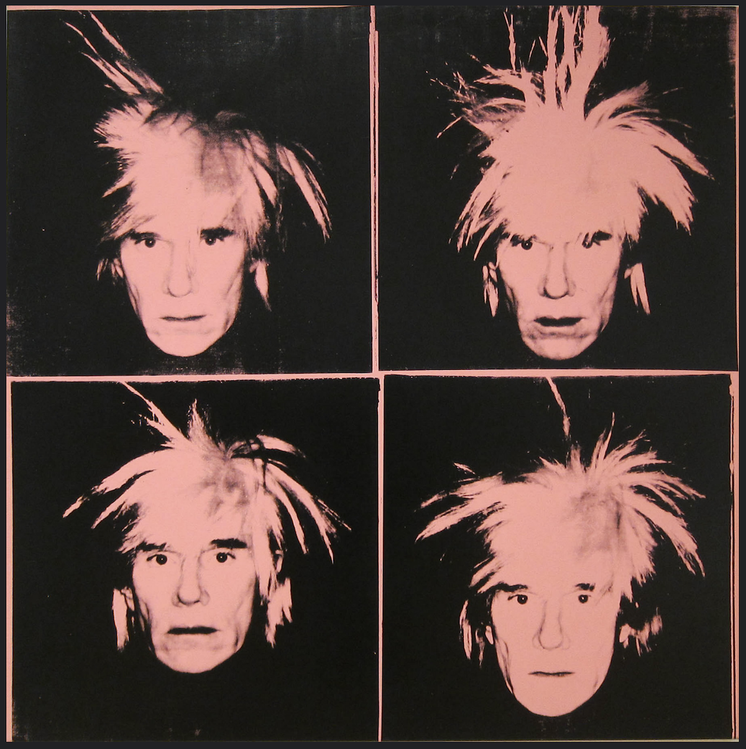 Even more surprising, and daring, is the news that in 2019, Vatican Museums will collaborate with the Andy Warhol Museum in Pittsburgh to show Warhol’s religious works, including silkscreens inspired by Da Vinci’s The Last Supper. Wow. Pope Francis, for all the above, you definitely deserve our collective High Five.